Oh such a bad parent I am! 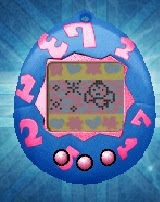 I forgot to pause my Tamagotchi when I left for Independence Day celebrations. I came home 9 or so hours later and it was dead! So sad! I'll try again. I do feel slightly heartbroken, I was just starting to really love that little pile of virtual liquid crystals! I guess it's alien god loved it so much it wanted it to come home.